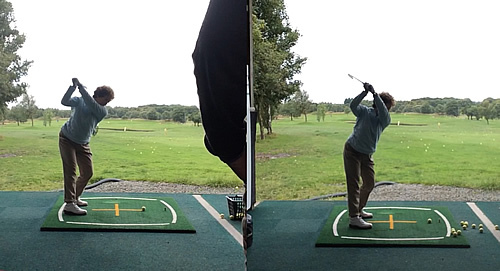 The images above are taken from actual teaching subjects and show how their swings are improved by sound teaching methods and regular coaching. 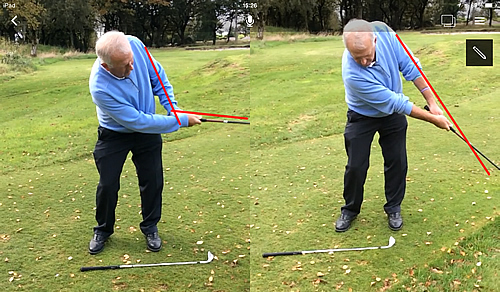 Regular coaching and advice from a PGA professional whether on technique or equipment is one of the most beneficial things any golfer can do to improve not only their game but also their enjoyment of golf. Golf lessons, tuition, swing analysis, club fitting and much more is available not just for the beginner but right up to the experienced golfer from our resident PGA Professional. Neil has been a professional golfer since 1985 having enjoyed a glittering amateur career at the prestigious Southport & Ainsdale G.C finishing his amateur career with a plus handicap. Having played many European Tour events, 5 European Tour Qualifying Schools, U.S. Open, U.S.Amateur, Canadian Tour as well as multiple international events he decided a coaching career was his true vocation. His coaching skills have been honed and improved after many thousands of personal coaching sessions, having enjoyed one on one tutelage from Dave Pelz ( Phil Mickelson coach ) and Pete Cowen ( Lee Westwood coach ). Neil's use of I Pad technology plus the world leading coaching app UBERSENSE truly clarifies each golfers path to consistent improvement. Each lesson which last approximately 40 minutes culminates with each pupil receiving their digitally recorded swings sent to their personal e mail address. Practice is vital, practising faults is pointless !!! Sam has been coaching for over 10 years and has head up our junior academy for the last 3. He was a member here at Regent Park Golf Club before qualifying as a PGA Professional and represented Regent Park and the Bolton Golf Association at junior and senior level. He has been the junior organiser of Regent Park Golf Club for the past 5 years during which time they have seen a consistent increase in the number of junior members many of whom have gone on to win regional junior competitions and represent the Regent Park senior team whilst they are still juniors. Tom is currently undergoing the PGA internship programme and his passion for the game has led him to a career in Golf coaching. Winning amateur Golf tournaments at Town and County level, Tom represented Lancashire County from age 13. 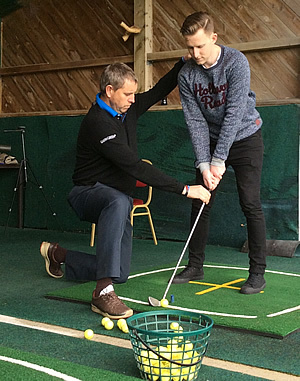 Now in the professional ranks Tom is looking to help golfers improve their technique while implementing course management strategies and aiding players with the mental aspects of the game.